View More In Game Processing Axes, Saws & Kits - Page 3. 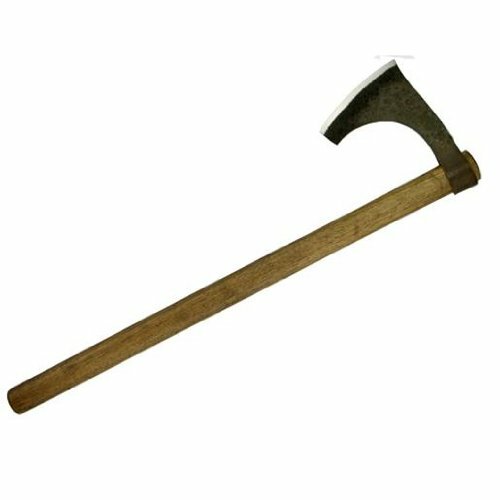 Overall: 30 1/2" blade length: 6" weight: 4lb 6oz thickness at guard: .57" the hanwei Viking axes and bearded axes are typical patterns, capable of cleaving helms or Armor with impunity. They feature steel heads with sharp tempered edges and hardwood shafts. Both shafts are approximately 30 1/2" long. If you have any questions about this product by CAS Hanwei, contact us by completing and submitting the form below. If you are looking for a specif part number, please include it with your message.